As many surely know, athletic trainers are not “billable” providers in the physical therapy setting, but in our particular clinic we are beginning to realize the benefits of having an athletic trainer available. Helping out with therapy as a “PT Aide” technically is one thing, but athletic trainers provide benefits that physical therapists do not always realize until it actually occurs. 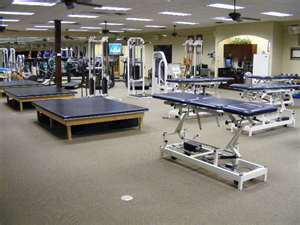 I work in a very busy PT clinic and the therapists are very hands-on and involved in each patient’s treatment. This sometimes means they are on a one-track mindset of doing everything they can for that particular patient. This is definitely good for that patient, but it does not always set up success in the “big picture.” This is where I have been utilized more and more in recent weeks. I have become largely responsible for the management of the clinic environment, in that I am helping the therapists to move patients from place to place, get things set up or broken down, and supervise the entire place so things run as smoothly as possible. We have been a busy clinic in the past and like all things in healthcare there are the ups and downs, but now we are very busy and continue to expand. The physical therapists and physical therapist assistants do not all understand the workings of a fast-paced facility and that’s where an athletic trainer becomes invaluable. Even for me, being right out of college, I am used to a fast-paced environment unlike many of my co-workers. Athletic Trainers have the ability to triage and determine priority and equipment needs. We keep the business moving along making sure our therapists are able to provide the best treatment for each patient every visit. The athletic trainer can be used utilized in many more facets than the “traditional” setting, become aware of how the athletic trainer can help you.